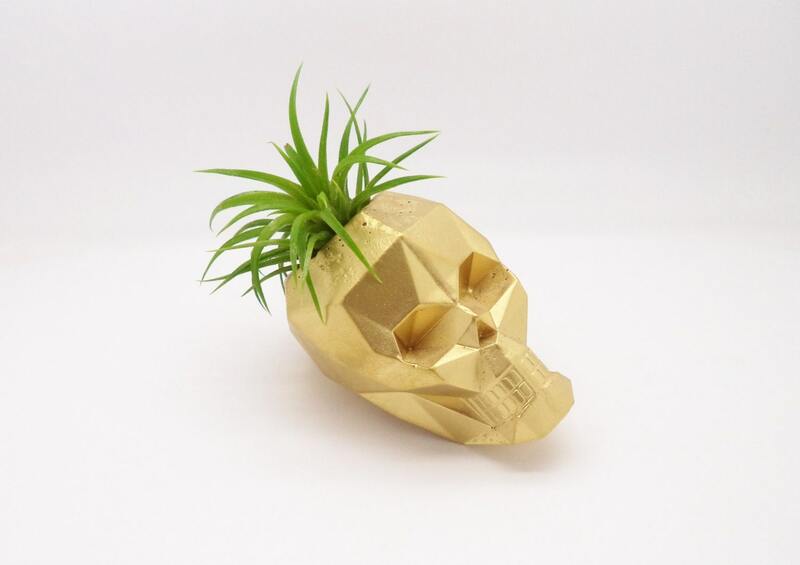 Not the same ole' skull planter..... I make these from scratch.....from powder to planter! 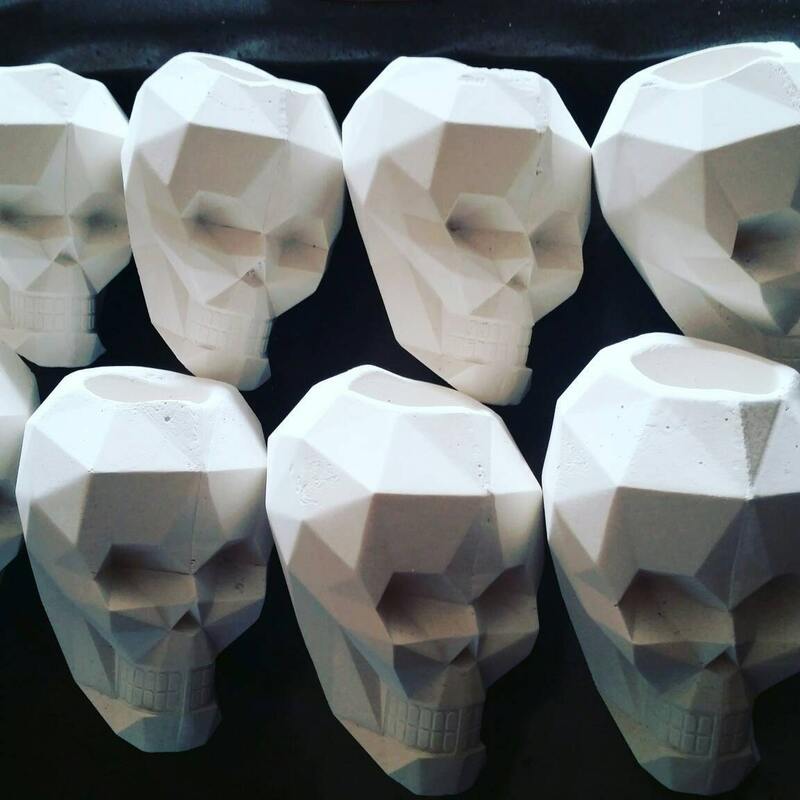 Due to the angular nature of its design, the skull sits at an angle. 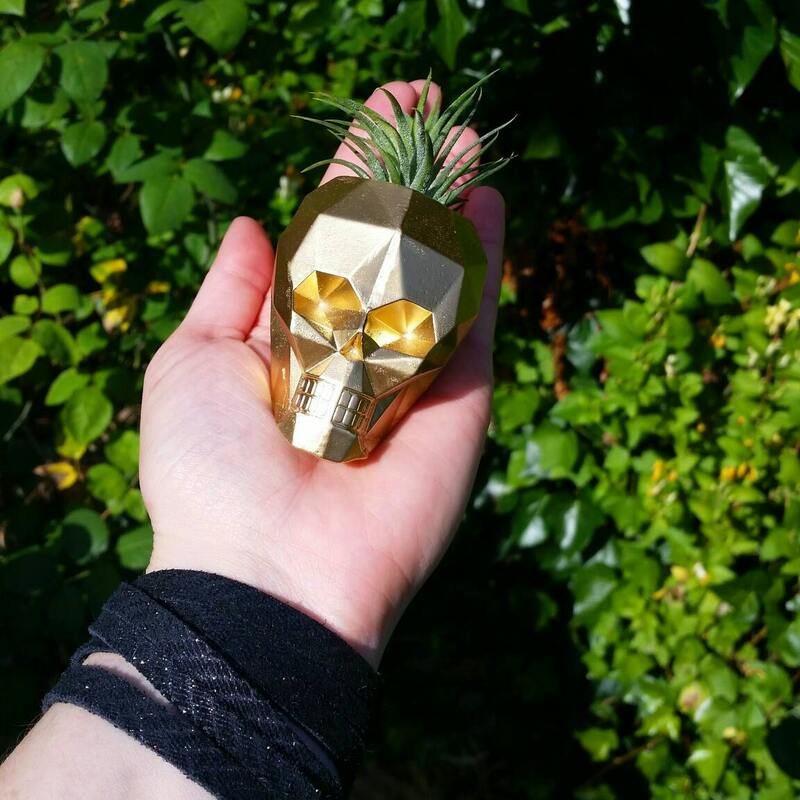 ** Please pay attention to these measurements, I designed this for air plants. I am happy to make this for you in any color you like, see my options and send me any special requests. Shown here in matte white, mint, gold and copper! Feel free to send me any questions! The skull tilts slightly to the side, ( its made to do that.) It took a good month to receive this awesome little skull. 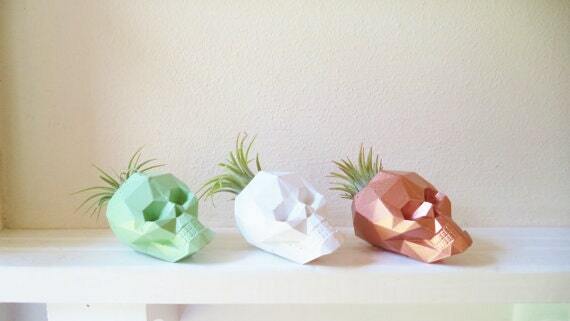 It came with instructions on how to care for the air plant. It was packaged well. The artist is very committed to making her customers happy with their purchase. She went above and beyond with my order and sent me another skull completely free of charge because there was a discrepancy with the first one. Customer service is amazing. I would highly recommend this seller to anyone. 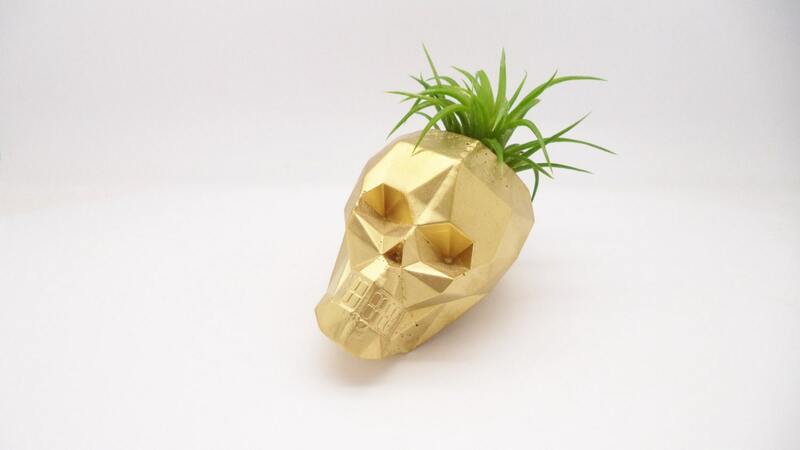 I have received an abundance of compliments on my little skull planter. I had this planter saved in my Favorites for MONTHS. Finally pulled the trigger and bought it -- and definitely worth it. Such premium quality and craftsmanship. Five stars without a doubt. I have it on a shelf in my bathroom to complement the other gold accents in the room.